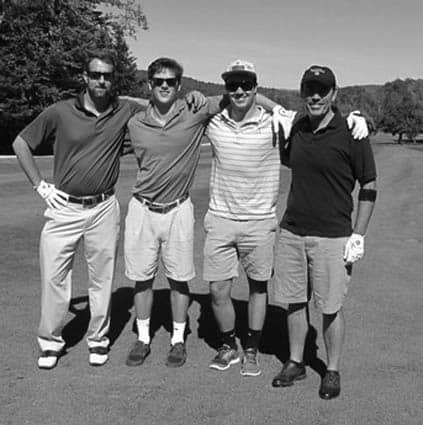 Friday, Sept. 16—KILLINGTON— KSC/KMS will host their annual golf tournament on Friday, Sept. 16, at the Killington Golf Course. Killington Ski Club (KSC) members and Killington Mountain school (KMS) students, alumni, friends, supporters and community members are invited to play. KSC/KMS is dedicated to supporting many talented student-athletes by providing them excellent educational opportunities, the best coaching staff and outstanding training venues. Every dollar raised at the tournament will go to Phase III of the Trails Initiative Project. Included in the registration for the tournament is: 18 holes of golf, a cart, a barbecue lunch, post-tournament Hors d’oeuvres and cocktail reception at Lookout Tavern, and prizes awarded for longest drive and closest to the pin. A post-tournament raffle will also be held. Registration opens at 9 a.m. for a10 a.m. shotgun start. The tournament will be a scramble format with team of four. Singles will fill incomplete teams. The cost is $125 contribution per player ($75 for KMS students and alumni).